Mercian Archaeological Services CIC recently returned to Kings Clipstone to continue the King John's Palace Project. The project is researching and investigating the Archaeology of the site of the Royal Hunting Lodge and Palace that formed the Heart of Medieval Sherwood Forest. 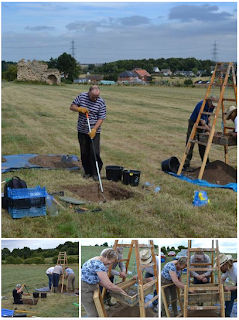 This Community Archaeology Project saw volunteers digging test pits and undertaking a topographic survey of Castle Field. 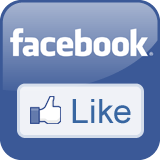 The King John's Palace Community Archaeology Project 2013. Test pits were located to further understand the layout of the Palace and surrounding landscape- the pits examined the area to the west of the Medieval ditch and bank excavated in the summer of 2012. The medieval ditch and bank represent the boundary of the site in the 13th-14th century as proven by the 201 excavation. The test pits excavated in the project are located in the demense part of the Waterfield, and the evidence uncovered further supports the boundary ditch as the furthest extent of the site. The royal palace now known as King John's Palace was the centre for crown activities in Sherwood Forest until the end of the 14th century, with all the Plantagenet Kings from Henry II to Richard II staying there. It was built to accommodate the crown during visits to the forest, where hunting would take place in the royal park adjacent. The report for the boundary ditch excavation will be available to download via Mercian's document stores very soon. The topographic survey of the site undertaken in August 2013 has helped to show a number of discrete features such as banks and terraces which will further aid in the understanding of the site- 3D results will be available through this site shortly. 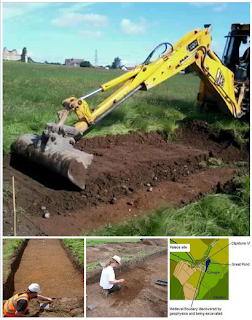 Alongside the King John's Palace Project, Mercian Archaeological Services CIC also undertook the recent Kings Clipstone Village Community Archaeology Project which looked at the development of the village in relation to the palace in Medieval times. A building survey of 2 cottages in the village and discovered medieval walls which formed part of the great gateway to the palace in Medieval times. It is hoped that a number of publications will follow in the coming year which bring together all of the corpus of work undertaken in the village and at the palace to date, including extensive work looking at the landscape of the lordship and forest. The King John's Palace Project, the Archaeology and History of Medieval Sherwood Forest Website, Archaeology and History of Medieval Sherwood Forest page and the Kings Clipstone Village Community Archaeology Project are all part of Mercian Archaeological Services CIC 'Sherwood Forest Archaeology Project'- more details soon. 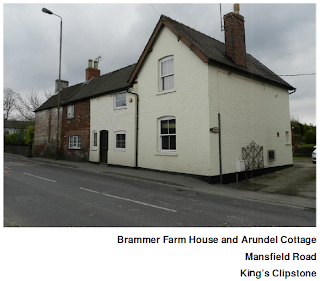 In March 2013 a building survey of two cottages was undertaken: Arundel Cottage and Brammer Farm House in the village of King's Clipstone in Nottinghamshire as part of the Kings Clipstone Village Community Archaeology Project.